Diminishing returns on climate models | Watts Up With That? By Dr. Roger Pielke Sr. The National Science Foundation Funds Multi-Decadal Climate Predictions Without An Ability To Verify Their Skill. Comments On An NSF Webcast On “Will Clouds – The Wild Card of Climate Change – Speed Or Slow Warming?” By David A. Randall. These claims and projections are based on global climate models. Hopefully, the NSF (and other agencies) will soon realize that most of this funding is a waste of taxpayers money and could be better spent on other research uses in climate and elsewhere. November 6, 2010 in Modeling. Thank you Dr. Pielke for this interesting commentary. Also, the more I read Dr Curry’s blog posts, the more I like them. I think she is both articulate and courageous, in the scientific sense. Here we are…. together, hands joined to fight the good fight but will you remember ? 3 months from now… will your thoughts be lucid of what you see and KNOW? To Ale Gorney – could you re-phrase that in English please? Think Ale Gorney has had a bit much ale? Ah, time to pass that over to Dr mann, to invert & rotate that proxy, then the graphed results will look just right! Spend some of that money on all that heavy equipment needed to find & recore all those old lonesome pines? This is all fine and well, but it doesn’t matter how refined the models get if they are still founded on guesswork and erroneous assumptions – the key one being that increased water vapour is positive feedback. And in 10 years time? The scam will be truly busted as we shiver our way through the cooling phase which has already started. The guilty parties will be living out their retirements, using the stash of cash that we have provided. Until Dr Curry has a Road to Damascus moment, and confesses her sins (well, it is a religion, after all) she is merely the slightly more acceptable persona of the Warming Cult. This statement appeared in the Executive Summary of Chapter 14 of the report produced by Working Group 1. Forget the models and discredited CO2 propaganda. Understanding of the historical records and the natural forces is the answer. de Wit, C.T. (1978). Summative Address: One. “Plant Relations in Pastures” (Ed. Wilson, J.R.) CSIRO. p 405. “This leads to models of considerable complexity, the tragedy being that complexity usually does not pay for the holist”. And other comments on models. Mike Jowsey says: (November 6, 2010 at 1:45 am) Think Ale Gorney has had a bit much ale? You think it should have been posted in Tipsy Notes, Mike? Excellent Roger! The standard of puns, here on WUWT, is definitelynbecoming more groanworthy! Figuring out what makes the wind blow would be a start at augmenting returns. 2)you don’t burn fossil fuel (electricity generation for the lab is wind powered – if you’re a real enthusiast you’ll use a bicycle generator on calm days) on pointless data gathering /quality control exercises. I fear that is a vain hope. I suspect that in the NSF’s eyes the source of funding is the deep pocketed government, not the tapped out taxpayer. Have you noticed a 1.25 billion year gap from the first Ice Age until the current cycle of Ice Ages? The first must have been a massive meteor strike in the ocean as evaporation was not in process until the cycle of Ice Ages. Rotation and centrifugal force was too fast to allow the chemical composition to the current salt water we see today. As the planet slows, it throws off salt to become fresher and fresher. This is needed to happen for evaporation to work. Too much salt would generate deserts as evaporation would be hindered. This post is helpful for bringing the puzzle pieces together on climate modeling. Now to sit down and enjoy plowing through it. The above graph was intuitively obvious to scientists who grew up doing real physical experiments with real physical measuring tools and real physical sliderules. We’re only arguing about it now because most currently active scientists have grown up with digital modeling and digital calculators, which give you the illusion that the 100th decimal place is just as valid as the 1st. 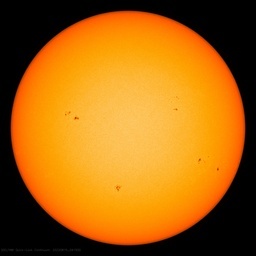 solar activity, oceanography, atmosphere, geology, physics, chemistry, and the Earth’s axis & orbit around the sun. I’ve probably omitted a couple of topics, but that’ll do for starters. How many times do we hear from the disciples of AGW that climate predictions are more accurate than weather predictions (or words to that effect)? No one seems to challenge this concept. It’s just stated as fact, even though it can’t be tested. One of the strategies of the propagandist is to keep repeating an opinion as if it were an undeniable truth. Next time some one tries this stunt on you, ask them how they know the statement to be true. They will nearly always say something like ‘cos so and so told me. With the passage of time we can usually predict with reasonable accuracy single events within a given time frame, but not the outcome of interconnected linear and nonlinear events at specific time within a given time frame. Computer models can only give projections based on known data and because the data is constantly changing as each aspect of the model is given new parameters by field researchers, they can never give better results than projecting the past into the future. In other words they can only tell us what we already know. They can’t predict what we don’t know. The weather and the climate are equally unpredictable because they both are based on what happened in the past and our understanding of all the conditions past can never be complete. Even if they were, future conditions can never mirror the past. The same curve applies whether current accuracy is 5% or 95%. IPPC currently use 90% to 95% probability on certain of their pronouncements so why spend the extra cash? Scientists have made their point, only time will tell if they are right. Maybe it’s time to step back from modeling and return to science? Or would that mean having to actually explain methodology in a manner that the taxpayer could actually understand. Now there’s a scary notion. Or maybe climate scientists are happy to go along with the idea the public are too dumb to understand the detail (well the detail that’s released) but smart enough to keep funding it all. I think an Emperor’s got no clothes moment is coming along. Here the in the UK the media are repositioning themselves with programs like ‘What the Green Movement Got Wrong’ on ITV. The BBC have gone completely silent on global warming recently. In my humble opinion one more hard, cold winter in the Northern Hemisphere would kill AGW once and for all and I foresee a lot of folk who have made a good living out of AGW scrambling around trying to find a position that would save their salaries in this winter’s wilderness of government cutbacks. Correction, it was Channel 4 not ITV that aired ‘What the Green Movement Got Wrong’ oops! For time being ‘climate science’ defends itself with such epithets as lunacy, numerology, pseudoscience, astrology etc. No matter how many times you pound nails into rotten wood, it’s still structurally unsound. If the funds spent on conventional models are no longer producing proportionate returns in terms of the advancement of climate science then it’s time for a bit of lateral thinking. I hereby put forward the development and testing of my New Climate Model as a deserving project for substantial funds and personnel support. At the World Climate Report site they had an article last year touching on climate models from a different perspective. How to get more form them. And how to allow anyone to play with them to determine an important thing never mentioned. The author notes that in all the carbon-saving initiatives, we usually are presented with the amount of CO2 that would be “saved” by the measures being proposed. He notices that the web is full of “CO2 calculators” that allow you to get your “carbon footprint” for this and that. However, the most crucial piece of information by far, is NEVER given: the estimated effect it will have on actual temperatures, which after all should be what you ultimately should care about. This is so true: we are never told what all the proposed measures will do to actual temmperatures, either at the individual level or at the national or global level. He proposes that certain “pocket” climate models that can run on your personal computer be made to interface with these CO2 calculators to allow everyone to play around and see the thermal “savings” of their individual or collective carbon saving proposals. Then, “as a last resort,” he goes through some easy back-of-the-envelope calculations himself, attempting to get to this aspect of the matter that is never mentioned. (Christopher Monckton has done similar work.) It quickly leads to the exposure of the monumental absurdity underlying the whole process. Now we have what we need. It takes ~14,138mmt of CO2 emissions to raise the atmospheric CO2 concentration by ~1 ppm, and it takes ~125 ppm to raise the global temperature ~1ºC. So multiplying ~14,138mmt/pmm by ~125ppm/ºC gives us ~1,767,250mmt/ºC. That’s our magic number: 1,767,250. Write that number down on a piece of paper and put it in your wallet or post it on your computer. This is a handy-dandy and powerful piece of information to have, because now, whenever you are presented with an emissions savings that some action to save the planet from global warming is supposed to produce, you can actually see how much of a difference it will really make. Just take the emissions savings (in units of mmt of CO2) and divide it by 1,767,250. Just for fun, let’s see what we get when we apply this to a few save-the-world suggestions. […] And finally, looking at the Waxman-Markey Climate Bill that is now being considered by Congress, CO2 emissions from the U.S. in the year 2050 are proposed to be 83% less than they were in 2005. In 2005, U.S. emissions were about 6,000 mmt, so 83% below that would be 1,020mmt or a reduction of 4,980mmtCO2. 4,980 divided by 1,767,250 = 0.0028ºC per year. In other words, even if the entire United States reduced its carbon dioxide emissions by 83% below current levels, it would only amount to a reduction of global warming of less than three-thousandths of a ºC per year. A number that is scientifically meaningless. This is the type of information that we should be provide with. And, as we have seen here, it is not that difficult to come by. The fact that we aren’t routinely presented with this data, leads to the inescapable conclusion that it is purposefully being withheld. None of the climate do-gooders want to you know that what they are suggesting/demanding will do no good at all (at least as far as global warming is concerned). The negative implication of this is that they have pretty well described reality. The positive implication is that they are stuck in a GIGO loop and are not going to get better until some of the assumptions and givens are corrected. Judith and others seem to think that the “useful information for decision makers” is important. As if the “decision makers” are in control. These “decision makers” are faced with an undecided “science” with undecided courses of action, with unknown results. But the attitude of both the “decision makers” and the “information suppliers” is that it imperative to act now! Shakespeare wrote a play entitled “Much ado about nothing” a farce. In this new play by the climate alarmists I do not see the humor even though they cavort splendidly as fools. Membership in the National Science Foundation needs to be restricted to High-School Graduate Grandmothers with at least 4 children and 8 grandchildren, who were married to “worthless-substance-abuse-addicts-who-couldn’t-hold-a-decent-job”, who had to hold down a full-time job themselves, who now live in a decent paid off home of their own, who drive a decent car, and who have family reunions every year where the whole clan shows up. Either that or- cut the NSF budget by 30% each year for the next two years, and do away with it altogether in FY13. Just graph question. Are the accuracy and effort terms modeled? Would improved (more funds) modeling bring the graph closer to an inverted hockey stick? The climate models are all going to make a certain prediction for 2050. Because in 2050, they are al constructed to have 3.0 watts/m2 of extra energy held in at the tropopause because of the assumed increase in CO2/GHGs. They will all then build-in a 10% to 15% increase in water vapour levels which holds even more energy in – another 5.0 to 6.0 watts/m2. They can be improved, the resolution can be increased and atmospheric processes can be modelled more accurately but it is not going to change the fact that there is an assumed net increase of 9.0 watts/m2 of energy held in at the tropopause. The improved models are still going to predict warming. It is the theory that has to be tested. We have to find out what really happens when there is increased CO2/GHGs – we have to “measure” it rather than continue modeling it in exactly the same way. The chart at the top is right about diminishing returns, but we were already at the flat part of it 22 years ago with Hansen’s 1988 model. I went to the comment by David Randell, found the comments were “off”. But since it was cited, I’ll make what I hope to be an “on topic” comment on modeling and the effects of “land use”. Any person who has flown small planes and gliders KNOWS that certain ground conditions lead to the formation of clouds at the tops of thermals on typical spring/summer (sometimes fall) days. If these thermals did not form, the clouds wouldn’t either. Depending on the frequency and amount, this (because of clouds reflecting almost 50% of incoming solar radiation) phenomenon certainly has some effect on the overall balances. Aw, quit picking on Ale Gorney. His comment stands on its own. Let’s just leave him alone and let him sleep it off. He’ll be ok in the morning. Let’s cutoff funding for cancer and AIDS research. I mean what’s the point, we are going to die anyway. I agree with Dr. Pielke Sr., that wasting further money on producing ever more useless computer climate models should be stopped. At best the models are useful for learning about how climate mechanisms work. At worst they are being used to give the impression to policy makers that more is known about climate than is the case and that models can be used to predict possibilities about what will happen to future climate, which is clearly false. here’s a thought. Take the vast majority of the funds ear-marked for modelling and put it towards upgrading the weather station sites to at least catagory 2 status. Cancer and AIDS are real problems that shorten the human lifespan. Catastrophic AGW is a fiction used by phony scientist and Marxist ratbags to fleece the public and destroy wealth. “here’s a thought. Take the vast majority of the funds ear-marked for modelling and put it towards upgrading the weather station sites to at least catagory 2 status. Excellent idea. How about getting some real-world data up in the Arctic – these so-called scientists need to get out of their offices and break away from their normal busy travel schedule (Copenhagen, Cancun, etc) and get out on the ground up in Greenland and the Arctic ice cap for some data-collection exercises. Do you mean something like this hockey sticky one? Exactly. In fact the models have proven themselves remarkably inaccurate, thus demonstrating the need for more, likely many more, variables and data points. Accuracy cannot be achieved if the modelers have an agenda that causes them to toss out real data in favor of ‘homogenized’ or altered data or fail to include variables that moderate climate ‘warmth’. Even then the models will offer little if any predictive value. We have almost no grasp of mega-cycles that affect the Earth, nor can we predict mega events such as vulcanism, quakes, cosmic rays, unique solar activity, etc. At best the models are useful for learning about how climate mechanisms work. I didn’t realize that scientists had to jigger the results of their various tests to prove that cancer and AIDS actually existed – you know, like how they jiggered the results in an attempt to prove AGW actually exists. Thanks for the tip. There’s a slightly higher probability that congress will defund the NSF. In either case though, the probability is still very low. I’d love to see a death certificate with the cause of death: ‘Climate’. I suppose someone could get crushed by a chunk falling off of a melting glacier. Hurricane Katrina was also cited as an example caused by global warming, so add in those victims. Actually since global warming is to cause an increase in frequency and severity of extreme weather events, anyone who dies due to a hurricane, tornado, even powerful lightning storms or massive flooding, could qualify. Then there are all those old people who die in the too-hot summers. Come to think of it, since it was explained during the previous cold and snowy Northern Hemisphere winter that global warming can even cause extreme winter-type events, you could add in people dying from blizzards as well. But, you know how dang technical and finicky those coroners and doctors can be. They’ll write on the certificate “gun shot wound” rather than the name of the person that shot the person with a gun. So despite the mountains of bodies piling up, climate, as in Anthropogenic Global Warming, shall continue to officially escape the blame that it is due. I do not doubt that human activity affects local climate as in cities and their environs or even that agriculture, irrigation etc. can affect climate on a regional scale: what I do doubt is that this any perceptible effect globally. I have no use for these models, because unlike a weather model where, more or less, the forecasters get the result of their predictions within a day or so and can adjust their techniques accordingly, learning what works and what does not on the way as it were, climate models cannot be tested. And an ability to hindcast for which they are tweaked and twiddled is no guarantee of their predictive power which turns out to be zero. As somebody sagely observed if the models worked then you would only need ONE model. Moreover few seem to understand that whichever way you care to look at it, from classical physics, to mechanistic assumptions to information theory the sheer scale of the repetitive data process handling in these models means that the degradation and increase in noise with every step forward they could not predict beyond the short term, years, if that. Some scientists are fond of saying that due to the models we know more about the climate fifty years hence than a few years ahead, either they are woefully ignorant of physics and mathematics, or being deliberately disingenuous. As to clouds, here in the hills over which I love to walk there is one, about 1300 ft which has a nearly sheer drop into the sea on one side. On a sunny. warm, windless day some years ago, with the sea like a mirror, I watched a cloud form on it’s seaward side from about two miles away. It started as tiny puff of white the size of a child’s hand halfway up the hillside and grew upwards and outwards at a terrific rate so that within half an hour or so it had become a massive cloud formation towering up to many thousands of feet. It was fascinating to watch. Since you want us all to return to the Stone Age in a desperate attempt to make you feel good about being alive, Mike, why don’t you try it yourself first? It seems that there is a straw man argument implicit in this. Putting more funding in for bigger and better models does not mean that climate scientists are abandoning observation of the real world. The problem is that it will be hard to find funding for either sort of initiative. After the fiasco of the Lindzen and Choi paper, where Lindzen ignored a lot of real world data which showed positive feedback of clouds, used the wrong models, ignored the horizontal flow of energy due to winds in his study of whether data and climate models agreed, Professor Lindzen hardly qualifies as an authority on the validity of climate models. In fact, the data that Lindzen had showed agreement with the commonly used climate models, contrary to the conclusion that he came to in his paper with Choi. Lindzen claims he has written a correction to the paper which he is trying to publish. ” The LC09 results are not robust…. LC09 misinterpret air-sea interactions in the tropics…. More robust methods show no discrepancies between models and observations…. LC09 have compared observations to models prescribed with incomplete forcings…. I’d hate to have these folks managing my investment portfolio. Come to think of it, maybe they are managing it! The entire world would be immensely less confused if they understood that there can be no scientific predictions without reasonably well-confirmed hypotheses and statements of initial conditions. So, let us all recite as follows: I will not use the word ‘prediction’ unless I reference the hypothesis and initial conditions that were necessary to make the prediction. When you are hankering to say you have a prediction but no hypothesis or no set of initial conditions then use the word ‘hunch’. You can have good hunches. I am sure the climategaters have lots of good hunches. But no mountain of hunches attains the level of a single hypothesis. Ellecent idea listed earlier, stop funding useless computer modelling and use funds to correct problems with the weather stations, especially the high arctic stations. Now the team would have us believe they care about data accuracy, so they would volunteer enmass to staff the reopenned stations, right? Or perhaps as court ordered community work these could be their new homes until they learn the scientific method. Sorry post normal spelling is contagious, Excellent was the word..
You sure that curve isn’t supposed to be bell shaped? 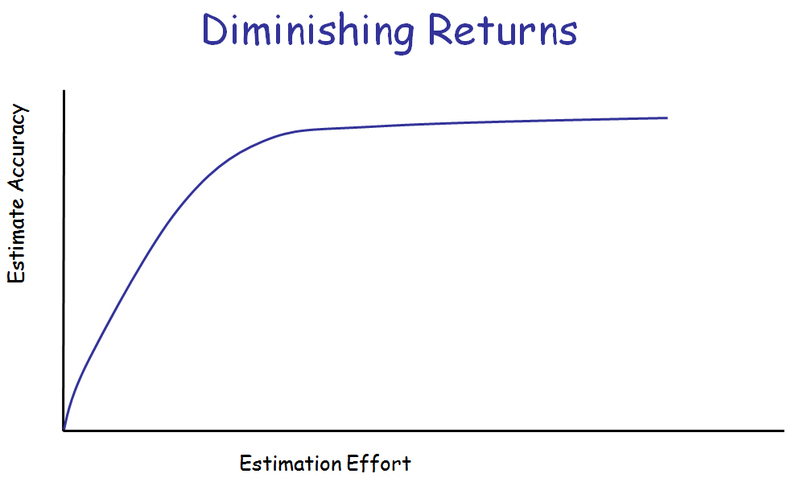 I bet anything that the returns become negative rather quickly after a certain amount of effort is lodged. I mean, misunderstanding the climate system is certainly a negative return, isn’t it? No one seems to challenge this concept. It’s just stated as fact, even though it can’t be tested. How do you know it can’t be tested when you have not even bothered to look into the matter. I actually agree. I mean, with the we are going to die anyway mentality. When are we finally going to defeat death itself? Never, of course. The major difference in this piss poor analogy is the fact that when you are trying to defeat death by curing diseases, these diseases don’t always prey on people that were going to die anyway. Cancer kills children, and so does AIDS. It would be humane to have a cure that would treat the young who are stricken with these diseases. When you try to crush an economy because of a perceived threat from climate change, the economy that funds the disease research Mike is ‘concerned’ with, then you are really just exacerbating the problem. So, Mike, if AGW was found to be an overblown scenario designed to secure nothing more than funding, look at your backhanded sarcasm and ask yourself, who does the money really get taken away from? I read this and the background material and it did not make sense. It looks distinctly ambiguous and bad expressed or reasoned. The models already capture most of the physics but still have problems with regional scale climate and decadal scale cycles. Getting the models to deal with cases like this with some skill is going to take a lot of effort. In a sense these claims are stating the obvious. However it also shows a lack of imagination since the payoff of being able to deal with things like regional droughts which can have an enormous economic impact could be significant. The entire world would be immensely less confused if they understood that there can be no scientific predictions without reasonably well-confirmed hypotheses and statements of initial conditions. So, let us all recite as follows: I will not use the word ‘prediction’ unless I reference the hypothesis and initial conditions that were necessary to make the prediction. I don’t disagree with you as such, but we were talking about computer models and not a specific hypothesis. A hypothesis must have predictive qualities as one of the conditions for it’s conformation. You don’t known if all aspects and components of the hypothesis are met until conventional experimentation or field research enhances the hypotheses. A model can’t tell the researcher if a component or condition has been overlooked or wrongly parameterized. Computers are fine for complex equations and visual enhancement but they can’t confirm a hypothesis. It’s not that that I can’t be bothered to look into it. It’s just the fact that we haven’t yet developed time machines. November 6, 2010 at 10:46 pm says…. Dear me why not all of the physics? Is there some physics you wish to leave out and if so why? And incidentally do they also incorporate the complex chemical and biological processes as well? No doubt you, as an expert in these things, will be able to explain to us unenlightened souls how all this is incorporated into a model. And further why the laws of thermodynamics, whether realised in terms of entropy or uncertainty somehow do not apply to these models. And moreover, given your imaginative insight about how the results of these models might be used, can explain to us ignoramuses, just what we ought to do with the results of the model’s output, bearing in mind the limits of their predictive power, which we can demonstrate rather well is zero, quite why or what we should do about it? I suppose that depends on what you mean by “capture” and “most of the physics”. What nobody ever wants to discuss are questions like: (1) what partial differential equations are being solved? (2) What are their initial and boundary conditions? (3) what specific numerical methods are being used to time-march these equations to obtain a time-dependent “solution”?, (4) what is the order of accuracy of the numerical discretizations?, (5) what stability criteria are used to control the time step?, (6) how do you know (or ensure) that a numerical “solution” for a time 50 years from now isn’t corrupted with numerical noise (due to truncation errors and numerical stability issues) and is essentially garbage?, (7) how to change the surface boundary conditions as a function of time and how do you know your approximations are valid?, (8) do you have proper documentation related to questions (1) – (7)? Everyone talks about computer models as if they are these mysterious black boxes, too complicated to analyze from an outsider’s POV. All numerical computer models are based on two things, and two things only: variables and constants. Variables are what you input. Constants “this number and/or this rate of change is always so” are what the variables work against to give you a result. No matter how large and complex you make the variable arrays, this variables vs. constants crunching is all a model can do. After all, computers can only do one thing; they can compare two numbers. And, they are really bad at subtraction! Why no one has looked into the inner workings of these models is beyond me. I’d love to look at the constants :). Not dead center on topic, but certainly collateral. I suspect they just dismissed all of “Archeo-Physics” which is all the really interesting stuff that happened in the first 10^-34 seconds after the BB. I’d be really happy if they only included increments of time down to say one time zone; 15 degrees of Longitude or one hour of time. So that would be 24 different orientations of the planet each day throughout the year. Too much to expect that they would go down to say one degree of earth rotation; or how about one half of one degree; which is the angular diameter of the sun, as seen from earth. Optical Mouse Navigation algorithms are easily able to do sub pixel interpolation; so these mostly all of the Physics models should be able to follow Mother Gaia’s solar blowtorch continuously as it encircles the globe endlessly. Funny that you can include nearly all of the physics, and still get the clouds wrong. They would seem to be one of the more obvious parts of the Physics. Well if they can’t even get their weather stations properly located on land; who knows how flaky their models are. I wonder if they keep track of each of the known possible Isotopic GHGs; such as H2O, HDO, D2O and of course each of those with 16O and 18O, and don’t forget all the different species of CO2 since we know which ones are natural, and therefore good; while the others are man made, and therefore bad. Since the diffusion rates of molecules are presumably different for different isotopes; the atmospheric energy exchanges, must surely be different for each; different spectral lines and different line broadening effects etc. And the beautiful thing about computers, is they really don’t car much how many variables you throw into the mix; it is just more simultaneous non-linear partial differential equations to solve. The good thing about being stuck on a desert island with just a sandy beach and a stick to scratch with, is that you can dispense with a lot of that (Physics) and just concentrate on the important features; like Clouds ALWAYS reduce the total solar energy captured by the earth; and water vapor does too; and more of either of those means less solar energy for earth; pretty simple really, and you don’t have to compute and trend lines or R^2 values either.